Sick of your job? Bored with your daily routine? Irritated by TV? Exhausted from thinking up new ways to cook chicken? In other words, are you tired of the same-o same-o? 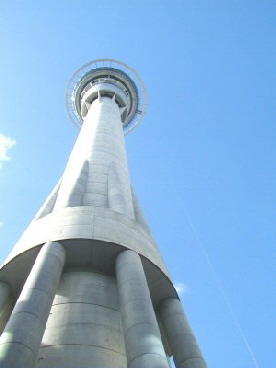 New Zealand is calling you! In only 12 hours (or two meals, two movies and a nap) you can be in the youngest country on earth, tasting its fabulous wines & food, relaxing in a geothermal hot pool or on a beautiful beach, shooting rapids on a raft, trekking in the Southern Alps, following the Lord of the Rings trail or absorbing the local Maori culture. In a land where the sheep outnumber the population by over a million to one, you can breathe, relax and recharge your batteries. And you can do it for a lot less than you think, as one U.S. dollar is worth at little more than one New Zealand dollar. New Zealand is located south east of Australia and consists of two islands, the North Island and the South Island. It is surrounded on the west by the Tasman Sea and on the east by the South Pacific Ocean. The country is 995 miles long and 279 miles wide and is roughly the size of Colorado. The Kiwis have a saying: "4 million people,40 million sheep". New Zealand was settled more than 1,000 years ago when the Maori first arrived from the north, perhaps from Rarotonga in the Cook Islands, or Tahiti or Raiatea in the Society Islands. They named the country "Aotearoa" which means "Land of the Long White Cloud". October 7, 1769, claiming the country for King George of England. Sealers arrived in 1792 and traders, merchants and missionaries from Great Britain were soon to follow. New Zealand has a chain of alps, four active volcanoes, geothermal areas, fourteen ice-carved fiords, thirteen National Parks, two World Heritage sites, 20 forest parks, spectacular beaches and grazing land for lots and lots of sheep. Both English and Maori are spoken. Four seasons with temperatures ranging from 90 to 40 degrees depending on the time of the year. 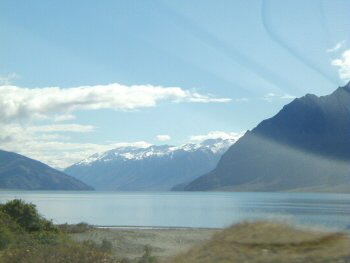 Most of us have become acquainted with spectacular scenery of New Zealand through TV and films. The country has been the setting for some very popular movies. "Lord of the Rings" and "The Hobbit" was filmed all over both islands. Peter Jackson's Weta Studios is based in Wellington." The Piano", starring Holly Hunter, was filmed in New Zealand and the author and director, Jane Campion, has a home on the South Island. Tom Cruise's "The Last Samurai" was filmed at Mt. Tongariro on the North Island. "Whale Rider" was filmed on the North Island around Whangara on the Gisborne and Eastland coastline. Peter Jackson's "Heavenly Creatures" and the Hercules TV-movie films were also filmed here. Other famous New Zealanders are Sir Edmund Hillary and actors Sam Neil, Lucy Lawless (Xena, Warrior Princess), and Anna Paquin.